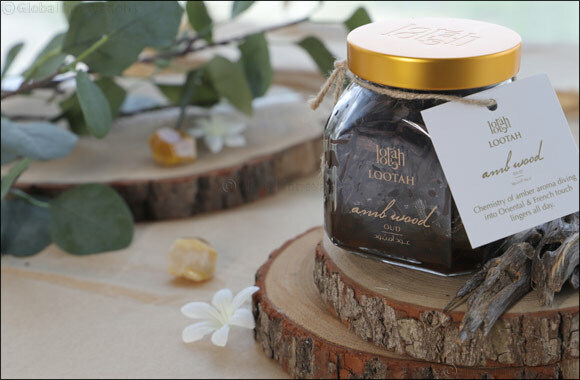 Dubai, UAE, May 14, 2018: LOOTAH, creators of fine Oriental and French heritage-inspired contemporary perfumes, incenses, oud, luxury perfumed blended oils and agarwood, launched a fragrant new oud called ‘Ambwood’, in line with the opening of the brand’s stores at Perfumery & Co – The Dubai Mall and Deerfields Mall in Abu Dhabi. The new oud is a subtle combination of fresh aromas with luxurious touches of the orient. Top notes of lemon and grape give the wearer a refreshing burst of confidence, while middle notes of jasmine and violet create a warm and soothing cocoon of luxury. Base woody and animalic notes give the fragrance a bold character that reinforces the strong personality traits of the wearer. The new fragrance is available now across stores in the UAE in 240g bottles priced at AED370.